LOS ANGELES – Some of the most significant occurrences in the lives of African-Americans fell on the same date: August 28. Acclaimed director Ava DuVernay captures the significance of the date in her short-form film entitled “August 28th: A Day in the Life of a People,” which made its national television debut on Aug. 28 on OWN. Starring Lupita Nyong’o, Angela Bassett, Don Cheadle, Regina King, David Oyelowo, Gugu Mbatha-Raw, André Holland, Michael Ealy and Glynn Turman, DuVernay’s 22minute scripted film uses a robust combination of both documentary and narrative techniques to transport viewers through six stunning historical moments that all actually occurred on the same day in various years. 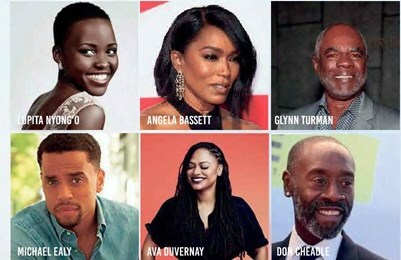 Written, produced and directed by DuVernay, “August 28″ traverses a century of black progress, protest, passion and perseverance of African-American people. The project gives historical perspective within the creative framework of one date that has had a profound effect on America including: the passing of The Slavery Abolition Act on August 28, 1833, the lynching of Emmett Till on August 28, 1956, the first radio airplay from Motown Records on August 28, 1961 with The Marvelettes “Please Mr. Postman,” Dr. Martin Luther King Jr.’s “I Have A Dream” speech during the massive March on Washington on August 28, 1965, Hurricane Katrina making its tragic landfall on August 28, 2005 and thenSenator Barack Obama’s acceptance of the Democratic nomination for the presidency on August 28, 2008.